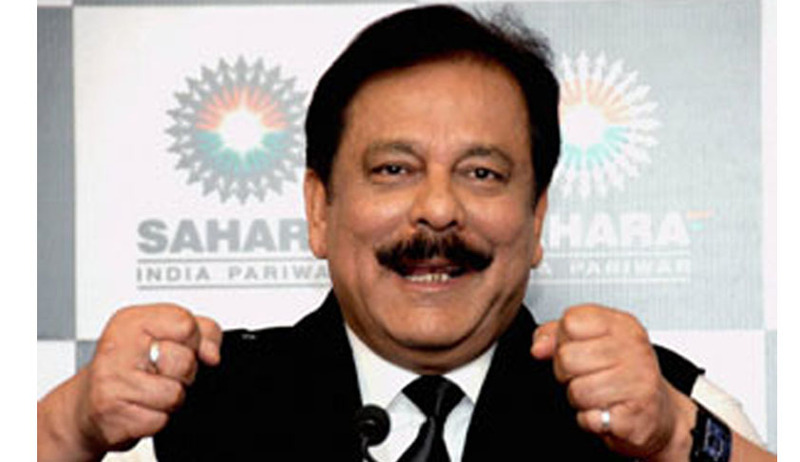 In a huge relief to Sahara group chief Subrata Roy, the Supreme Court today extended his parole till October 24. This was on a condition that he would deposit Rs 200 crore more with SEBI by then. The special bench headed by Chief Justice T S Thakur also asked Sahara to submit a road map or scheme for depositing the balance amount to secure Roy's release on bail. A Statement from Sahara's Lawyer Shri Gautam Awasthi after the court hearing said : “In today’s hearing Hon’ble Supreme Court has first of all extended the interim release upto 24th October 2016. There after court was also agreeing to suggestion that Sahara will submit a detail proposal as to discharged the liability towards balance principal which is required to be paid in terms of 31st August 2012 order. In that view of the matter, we see a ray of hope in this manner that may be resolved in a more positive manner and in that sense the 3rd October 2016 date has withheld and now will come upon on 24th October 2016. It is to be noted that on September 23, the bench had almost send Roy back to Tihar jail in the morning following heated verbal exchange with his senior lawyer Rajeev Dhavan but later in the evening gave him one week to surrender and also agreed to hear his plea for parole extension.